Vintage Windings Toroid Inductor Coils are specifically wound for use in high quality audio equalizer filter circuits. 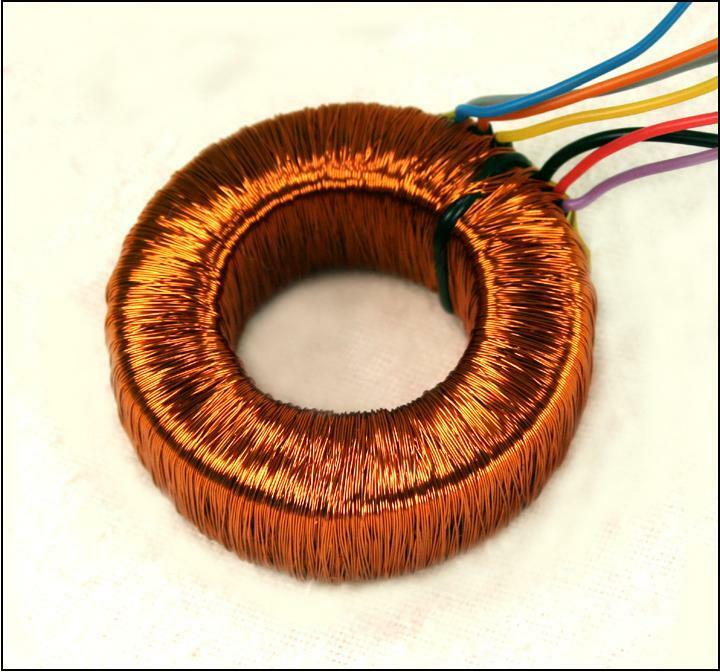 Unlike modern inductor alternatives that almost invariably use a ferrite core, Vintage Windings coils are made from powdered metal cores like the ones pioneered by Bell Labs engineers in the early 1920's & 30's. The core material formulations and metal combinations evolved over the years and today powder core formulations are much more application specific. Vintage Windings keeps a stock of Molybdenum Permalloy Powder Cores in various sizes and permeability factors. Vintage Windings toroid inductors are all wound using the same protocols originally laid out by Western Electric and Bell Labs engineers. All tapped windings are evenly distributed 360º around the core and all taps exit the core at the same point. This means that no matter which tap is switched in, the core is being evenly and completely energized. Winding in this fashion also helps keep the Q of the coil high. The higher the Q, the better the coil's performance when used in an audio filter (Williams/Taylor). The penalty for using this type of winding technique is that the rotation speed of the core is different for each tap. Some taps have several layers of 360º winds for the complete winding tap while other taps can be wound in one rotation. Proper engineering comes into play when fine tuning the rotation speeds and the winding speeds of each tap. Vintage Windings toroids are available with or without taps and custom values. The accuracy of the coils is in the 1-2% range. Custom values are available, with or without taps. e-mail for quotes and lead times.